It looks like Mitt Romney hasn’t yet learned a lesson that has been imparted to nonprofits within the pages of Nonprofit Quarterly many times. Since the primaries, Romney has been dodging a forthright release of all of his tax returns, allowing critics such as Sen. Harry Reid (D-Nev.) to have a field day with hypotheses of exactly how little Romney might have forked over in tax payments. The lesson is, of course, the longer you delay requests for legitimate disclosure, the more the public thinks you have something illegitimate to hide. 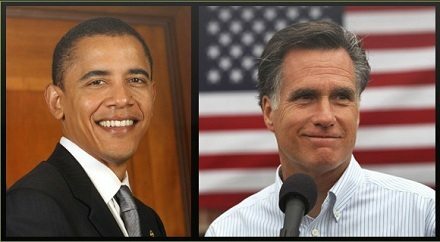 While Romney searches for his 2011 return, Los Angeles Times politics columnist James Rainey ran a little calculation on Romney’s 2010 taxes—taking Romney up on his invitation for an analysis of his federal taxes plus charitable donations. In explaining his 13.9 percent tax rate, (a rate much lower than most of us who don’t make more than $20 million a year), Romney told reporters to remember that he and his wife Ann also make generous charitable contributions for a combined tax-plus-charity total of more than 20 percent of his income. Pretty good? Rainey’s “Tax-N-Charity” calculation for Romney and his opponent, Barack Obama, is actually quite revealing. For the combination of tax years 2010 and 2011, Mitt and Ann Romney paid an estimated (estimated because he hasn’t yet released his 2011 returns) $6.2 million on $42.6 million in taxes for a tax rate of 14.5 percent over two years. Adding in their 2010 and estimated 2011 charitable donations of $13.2 million, the Romneys’ Tax-N-Charity two-year total was 31 percent of their income. How do the Obamas stack up? It appears that their Tax-N-Charity calculation is 42 percent of their income. Both families are generous charitable donors, with the Romneys giving away 16 percent of their much larger income and the Obamas giving 22 percent from a smaller income pool. Both families are at a significantly higher charitable contribution level than most taxpayers. But Romney should be careful not to get carried away with the large absolute dollar value of his donations; rather, he should remember that while few people can match the Romney family totals, many are more charitably generous in terms of percentage of income. Remember one more thing. Romney’s 13 percent in taxes in 2010 and presumably 2011 is his effective tax rate. His actual tax bracket at a $20 million income level is the top tax rate, twice his effective tax rate. According to a chart from The Economist, in 2009, taxpayers with $1 million to $10 million in income paid an effective rate of about 26 percent, while taxpayers with $10 million to $100 million in income paid about 24 percent. The Romneys are among the very wealthiest of American taxpayers, but he pays taxes at a lower rate than his top income peers. Again for 2009, according to a report from the Tax Foundation, the nation’s top one percent of taxpayers with positive adjusted gross incomes paid at an average tax rate of 24.01 percent and the top five percent paid at 20.46 percent. Some observers, even those without a partisan political stake in the presidential election, might find the Romneys’ 13 percent tax rate indefensible.